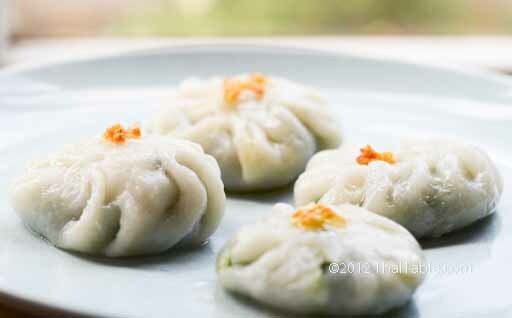 Gui Chai or Chinese Chive Dumplings is my all time favorite snack. I used to get up real early to go to an open-air market around our house with my mother. There was a lady busy frying Chinese Chive Dumplings for her customers and there was always a long line at her stall. We would always stop at this Gui Chai stall and buy some for a snack before breakfast (only for me, I guess no one else snacked before breakfast). She made the best Chinese Chive Dumplings sauce I ever had. 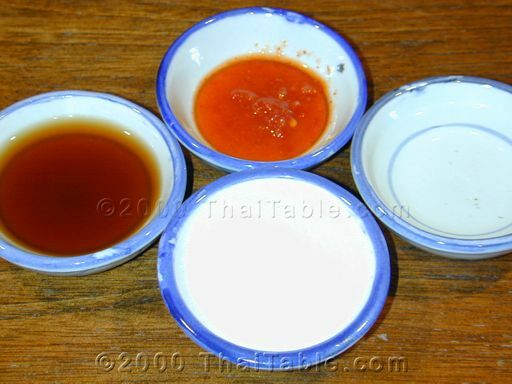 The sauce recipe is made from my memory. 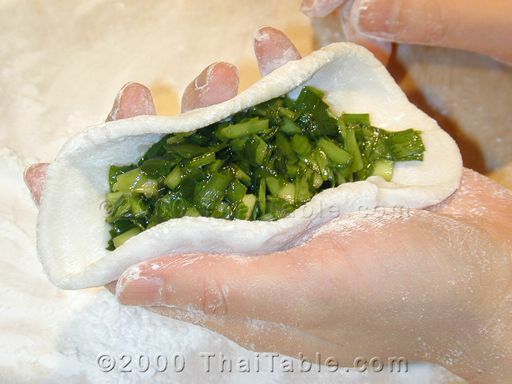 If you are unfamiliar with making dumplings, use less filling to make folding easier. 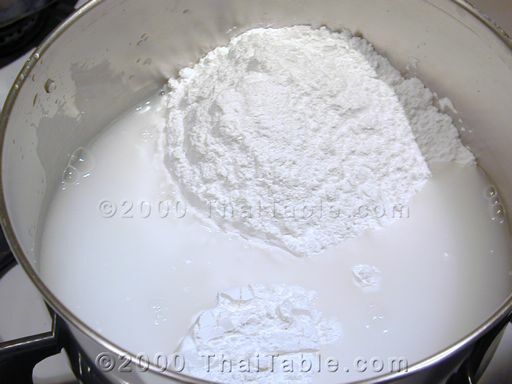 Add rice flour, sticky rice flour and water to a pot over medium heat. Stir constantly to prevent sticking. If the mixture starts to be too sticky to handle, lower the heat. Stir until the mixture turns gluey. Remove from heat and add 1/4 cup of tapioca flour. Set it aside to let it cool. 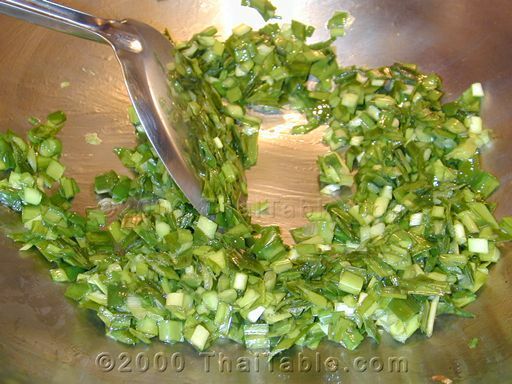 While waiting for the dough to cool down, slice the Chinese chives into 1/2 inch pieces. Heat up 2 teaspoons of oil in a wok or pan over high heat. Add chives and soy sauce. Stir quickly and remove from the heat. You want the chives to wilt a little but not cooked. 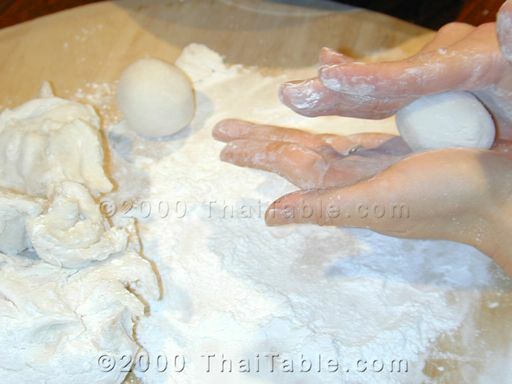 Cooking too long will produce too much water and make it difficult to stuff the dumpling. Knead the dough. 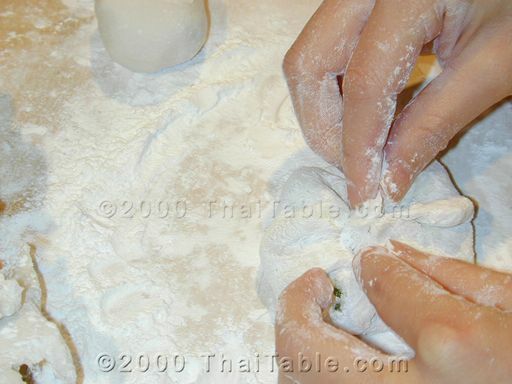 Test the dough to see if it is too sticky. 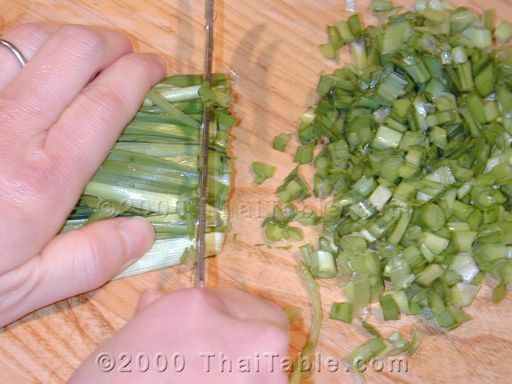 If it is too sticky, it will stick to your hand and will be difficult to work with. Add more tapioca flour. 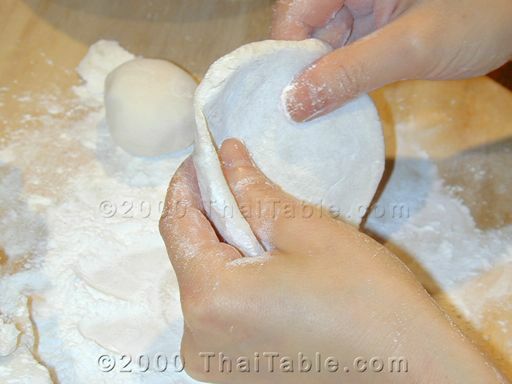 Steam the dumpling for 5-7 minutes or until the dough is cooked. It is ready to be served now with hot chili soy sauce but many people like them pan-fried. That includes me. I pan fry the dumplings until they are somewhat brown. I like them crispy on the outside but soft on the inside.